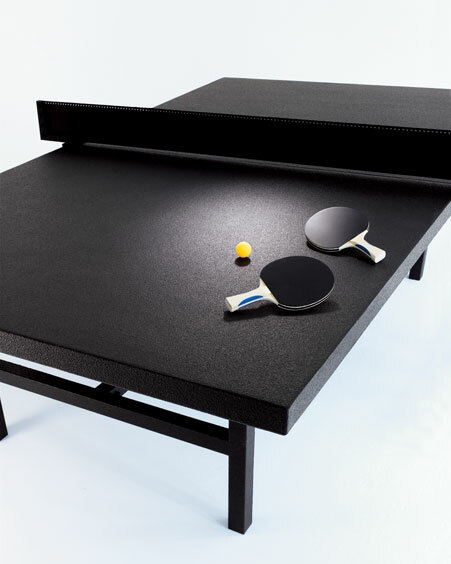 Tom Burr brings has designed a modern table-tennis table for the Neiman Marcus 2011 Christmas Book. The limited-edition table was sculpted from material-black rubber. Burr says, "I like the notion of rubber. It has low-key glamour, like that of a sports car's bumpers and guards. And, quite simply, rubber makes the balls bounce—more bounce for your buck." For each table sold, Neiman Marcus will donate $2,500 to Big Brothers Big Sisters. The high-end ping pong table costs $45,000.